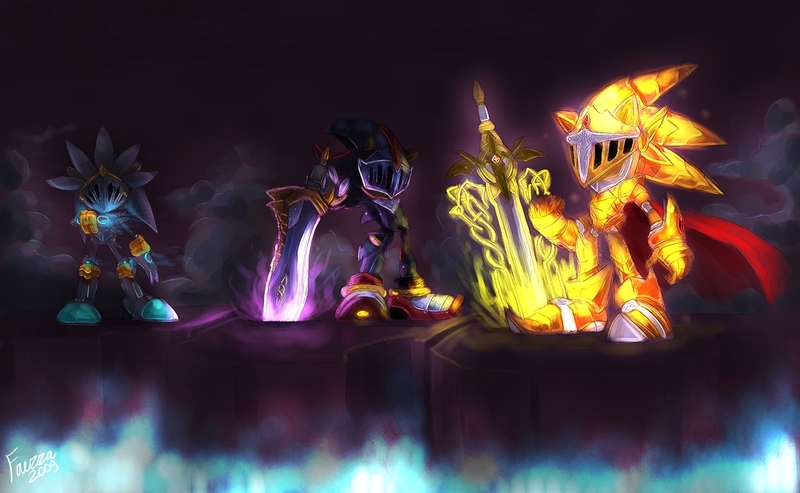 .ThReE kNiGhTs.. . HD Wallpaper and background images in the 刺猬索尼克 club tagged: sonic hedgehog sega shadow silver. This 刺猬索尼克 fan art might contain 喷泉, 火, 火焰, 地狱, 火, and 消防.